The photo on top observes crops in the natural state. The second photo reveals the vegetation's fluorescence. 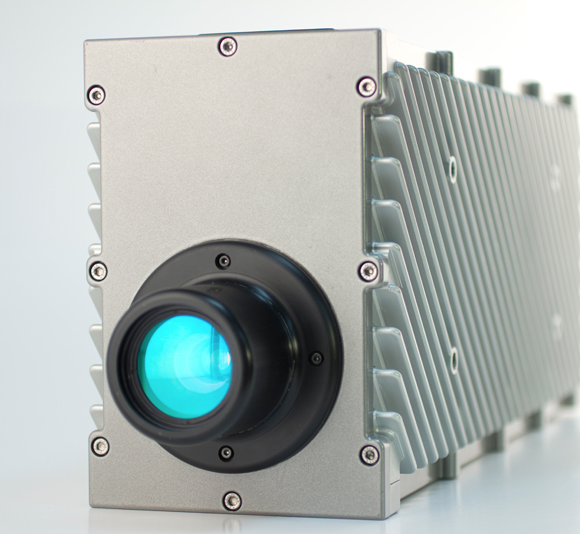 SPECIM released AisaIBIS, a robust and very high spectral resolution hyperspectral imager for ground and airborne measurement of sun induced fluorescence from plants. The most valuable feature of AisaIBIS is its ability to measure the secret light of plants, the weak sun induced fluorescence signal. During the photosynthesis, plants convert light energy from the sun into chemical energy that fuels organism growth. During that process part of the absorbed light energy is emitted back as a faint glow – the fluorescence. Measured fluorescence can be used as an indicator of photosynthetic activity of the plant thus telling its health and vitality. the instrument, as it requires high spectral resolution in the order of 0.25 nm, high dynamic range and high signal-to-noise ratio. AisaIBIS is the first commercial hyperspectral imager which meets these requirements even at the image rate required in airborne data collection. It works as a robust tool for mapping the sun induced fluorescence from single leaves to complete ecosystems” states Timo Hyvärinen, SPECIM Sales Director. AisaIBIS, a robust and very high spectral resolution hyperspectral imager for ground and airborne measurement of sun induced fluorescence from plants. SPECIM created AisaIBIS together with Juelich Research Centre from Germany, as the Hyplant sensor, for the European Space Agency’s (ESA) Earth Explorer programme called FLEX. The project aims at providing global maps of vegetation fluorescence, which can be converted into an indicator of photosynthetic activity. AisaIBIS works as a precursor for a potential satellite instrument, and is used to produce airborne data for the development of fluorescence retrieval methods and investigation of the quantitative accuracy of the fluorescence measurement. Please see ESA’s article (*) for more information. SPECIM will release AisaIBIS at the 5th International Workshop on Vegetation Fluorescence in Paris 22-24.4.2014 (see below), where scientists present the latest results obtained with the first instrument. SPECIM Spectral Imaging Ltd. is a manufacturer of hyperspectral imaging instruments and systems. SPECIM provides Spectral Imagers and Hyperspectral Imaging Solutions to airborne, geological, industrial and research customers. Since 1995, SPECIM has delivered more than 4000 spectral instruments to its global clientele. You can learn much more here. Remote sensing of vegetation fluorescence is considered a promising technique for large scale monitoring of photosynthetic activity. Since emitted fluorescence is directly linked to primary production and thus to carbon assimilation by terrestrial ecosystems, measurements of solar-induced fluorescence could be used as an early indicator of the health and vitality of vegetation. Routine observations of sun-induced fluorescence from space would advance our knowledge of biosphere dynamics and help improve our understanding of the terrestrial component of the carbon cycle, reducing uncertainties in the forecasting of global climate changes. Since the first Workshop on Remote Sensing of Solar Induced Vegetation Fluorescence, held in ESA-ESTEC, Noordwijk, the Netherlands, in June 2002, much progress has been made in addressing some of the key issues that were identified at the workshop: instrument development, field data acquisition, models of leaf and canopy fluorescence, fluorescence retrieval, atmospheric corrections and space mission design. The second workshop, hosted by the Canadian Space Agency in Montreal (Quebec), Canada, in November 2004, represented a consolidation in the vegetation fluorescence community's interest in proposing the FLEX (FLuorescence EXplorer) mission in response to ESA's Call for Earth Explorer Ideas in 2005. A first proposal for the FLEX mission was considered by ESA as a candidate mission for the Earth Explorer 7 Core Mission program, but was not selected for the next phase. The 3rd Workshop in February 2007 in Italy, and the 4th in November 2011 in Valencia, Spain , were oriented towards the preparatory activities of a replacement FLEX mission and the consolidation of methods and techniques for fluorescence use and acquisition. Shortly thereafter, ESA selected the revised FLEX proposal for phase A/B1 concept development as one of two formulation candidates for the Earth Explorer 8 mission. 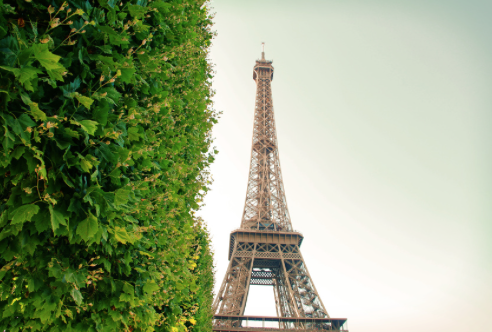 This 5th Workshop on Remote Sensing of Vegetation Fluorescence, which will held in Paris, France in April 2014, will address the current status of research and understanding of vegetation fluorescence, within the framework of the upcoming selection by ESA of the Earth Explorer 8 mission to go forward in the next mission phase. This workshop will be an opportunity among various scientific communities to discuss and communicate about new advances in the FLEX mission preparatory activities, as well as generic topics related to vegetation fluorescence and its applications. Among the focus topics to be addressed: instrument development; methods for fluorescence retrieval; techniques for signal analysis; ground and airborne measurement campaigns; fluorescence models at leaf, canopy and TOA levels; model inversions; relationships between fluorescence, physiology, canopy structure and CO2 assimilation; and fluorescence applications in environment monitoring.